To stay up to date on upcoming CLE events, sign up for the local newsletter! Nomination Night is October 26th! 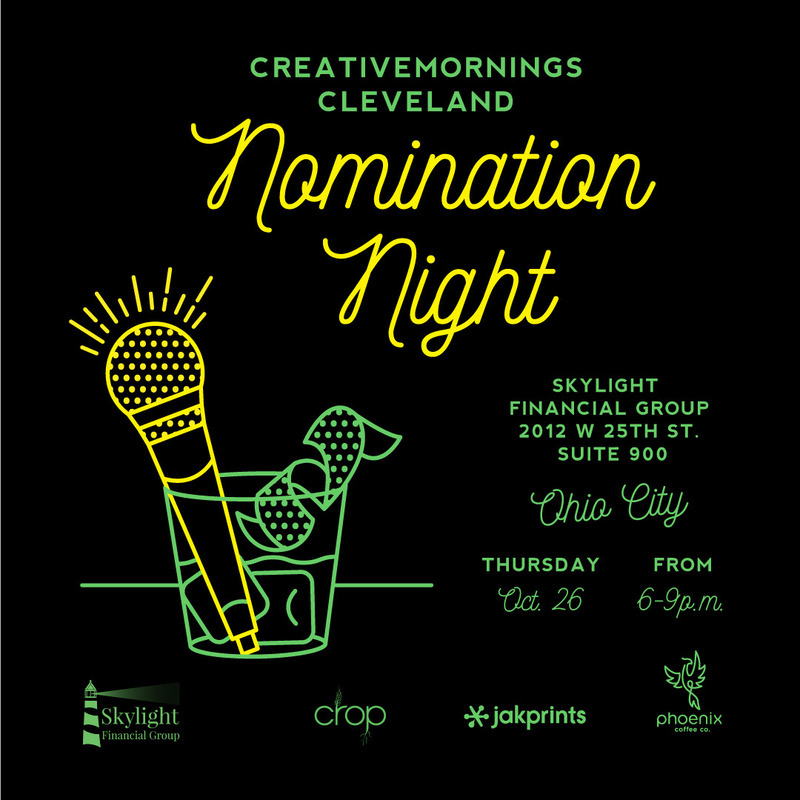 Please join us for the 3rd annual CreativeMornings Cleveland NOMINATION NIGHT - Thursday, October 26th from 6-9pm at The Skylight Financial Group Penthouse. 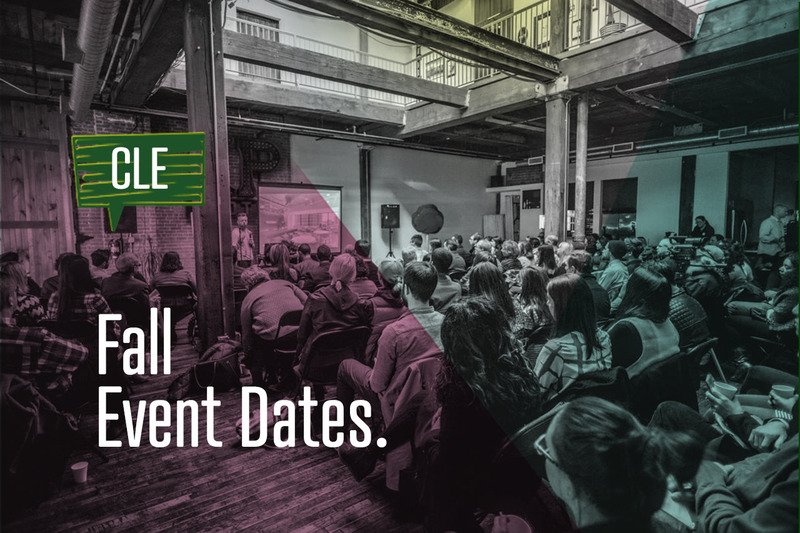 A private gathering of community leaders from every sector of Northeast Ohio’s diverse arts landscape, held to collectively find the best, brightest, weirdest, most beloved creative people in our city to speak during the 2018 season of CreativeMornings Cleveland.This year’s Nomination Night will include some big changes including 50+ potential speaker features, short presentations from our team about the 2018 themes, and a silent auction to raise funds to produce our regular monthly program. Monthly CreativeMornings Cleveland events are made possible thanks to the many Cleveland businesses and organizations that participate and contribute as partners. All of our past and present partners and speakers are invited to attend Nomination Night. Registration is $25 includes a drink and hors d'oeuvres. We imagine a world where we’re seen and heard, respected and valued, not for our appearance and privilege, but for our work and character. A world where anyone, anywhere, has equal access to opportunities and resources to become the person they dream about. The formula for equality is a work in progress, and this work is not done from the few with power but rather through the power of community. Equality is harmony. Harmony isn’t achieved through one instrument; it’s a collaboration, a symphony of sounds that adds richness and texture to the bigger picture. The pursuit of equality is a long-term game, an unraveling of outdated processes that no longer serves the future we imagine or deserve. 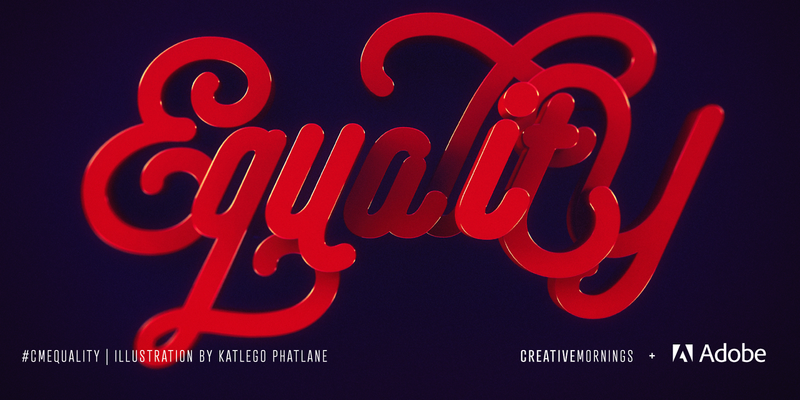 This month’s global exploration of Equality is chosen by our Johannesburg chapter, illustrated by Katt Phatlane, and presented by… Adobe! Yes, you read that correctly. We’re thrilled to announce that we’re partnering with Adobe to stretch our collective mission in connecting and empowering creative communities around the world. With Adobe’s indispensable tools and decades of experience in enabling creatives to bring their ideas to life, along with CreativeMornings’ unwavering commitment to unite and inspire cities with face-to-face connections, we’re honored to be partnering with another company that is eager to champion the future of creativity and add fuel to the engine of generosity. Read more about it! This month’s global exploration of Beyond is presented by Shutterstock. The theme was chosen by our Bengaluru chapter and illustrated by Ranganath Krishnamani. We are tempted by the possibilities of the beyond. Whether it’s deep space, the range of our talents, or a first date, our minds conjure stories that carry us aloft. This unwavering, deep-seated determination to go far and wide is the fire that which keeps us alive, always marching forward, determined to lift the veils that are hiding unfounded beauty. What a trait to embody. Without the urge to go beyond perceived limitations or boundaries, we would be a dull, stagnating species indeed. The price to go beyond anything is never free; we’re called to face our fears, and the reward of reaching that next level is the privilege to do it again. Please enter Wyse Advertising at the entrance next to Hodges restaurant off Euclid Ave. marked “Enter Here” on the map. The best option for parking is on the street when you can find space. Unfortunately, metered street parking is the most affordable option for this event so you may want to arrive early if you’d like to take advantage. 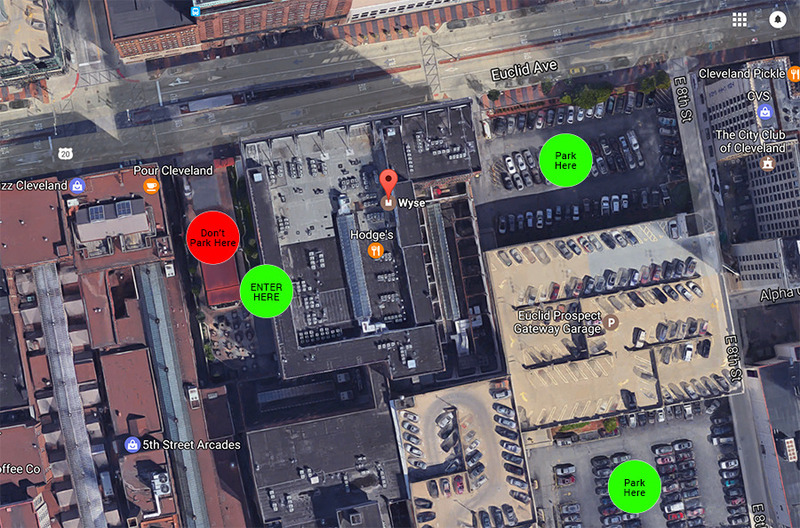 There are many parking lots that you can see marked on the map, as well as garages in a close proximity with varying prices between $5-15. We would not recommend parking in the garage closest to the entrance (indicated ‘don’t park here’ on map) because it is very limited, and also very expensive. That’s all, see you tomorrow! The Cleveland chapter of CreativeMornings hosts events on the third Friday morning of ever month. Like all CreativeMornings events around the globe, the events are free to attend, feature live talks from successful creative professionals, and provide the general creative community a regular opportunity to meet and learn with each other. The program is a catalyst for cross discipline conversation and idea exchange locally and globally. In Cleveland, events take place in different unique venues around the city and are captured on video to share with the world. Sign up to become a 2017 partner. 2nd Annual #CMCLE Speaker Nomination Party! 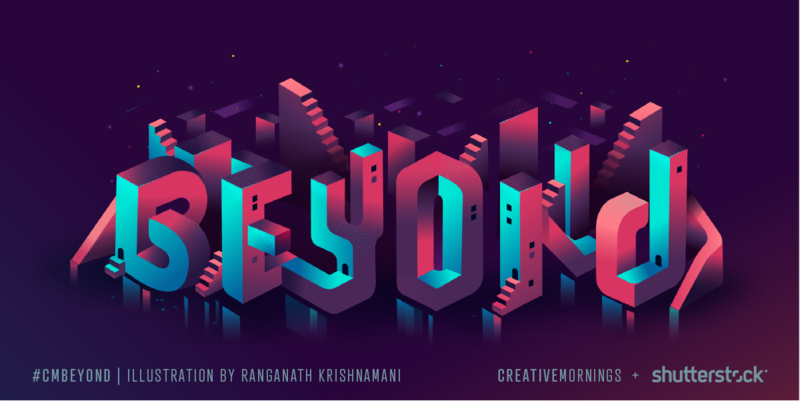 The only evening CreativeMornings event of the year is just around the corner and you won’t want to miss it. 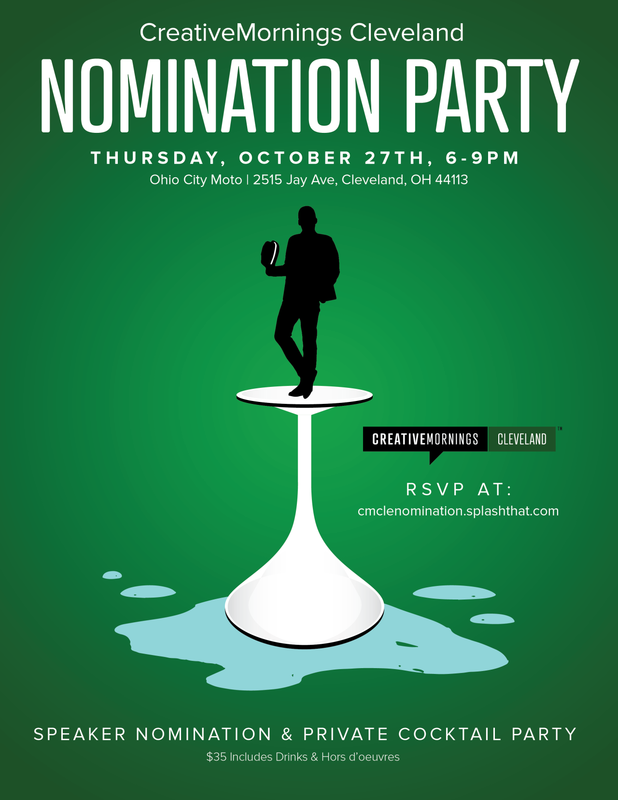 Thursday, October 27th 6-9pm at Ohio City Moto we’re hosting a private cocktail party to nominate 2017 speakers, register to attend for $35. October of 2015 we held this private cocktail party as an experiment; to help engage our community in the conversation of rising stars and all stars in Cleveland that would make great speakers for the 2016 season of CreativeMornings. To our delight over 200 nominations poured in, which introduced us to over half of the speakers for this year’s events. We’ll be holding the event again on Thursday, October 27th at Ohio City Moto and the entire CreativeMornings community is invited. The fee for registration includes hors ’doeuvres, open bar with watershed distillery cocktails, and supports the operation of our regular program. This is a special update to let our entire chapter know that we are holding TWO events this October. Our regular meeting will be on Friday, Oct 14th at the downtown Cleveland Public Library. As our chapter approaches the start of our third year we’re also holding some very important fundraising initiatives that we hope you will participate in, including our second annual Speaker Nomination party on Thursday, October 27th. Over the past two years we’ve had the privilege of introducing some of our city’s most inspirational thinkers and doers at 20 free events. We’ve also seen friendships and relationships blossom for new collaborations, companies, and creative projects that will waterfall into many new things in Cleveland. With your help we’re looking forward to sharing the excitement of our community’s creative endeavors in another year. If our program has helped or inspired you over the past two years please take a minute to consider helping us continue our work. Thank you for all that you do! Speaker Nomination Party. & Chapter Fundraiser. October of 2015 we held a private cocktail party to help engage our community in the conversation of rising stars and all stars in Cleveland that would make great speakers for the 2016 season of CreativeMornings. To our delight over 200 nominations poured in, which introduced us to over half of the speakers for this year’s events. 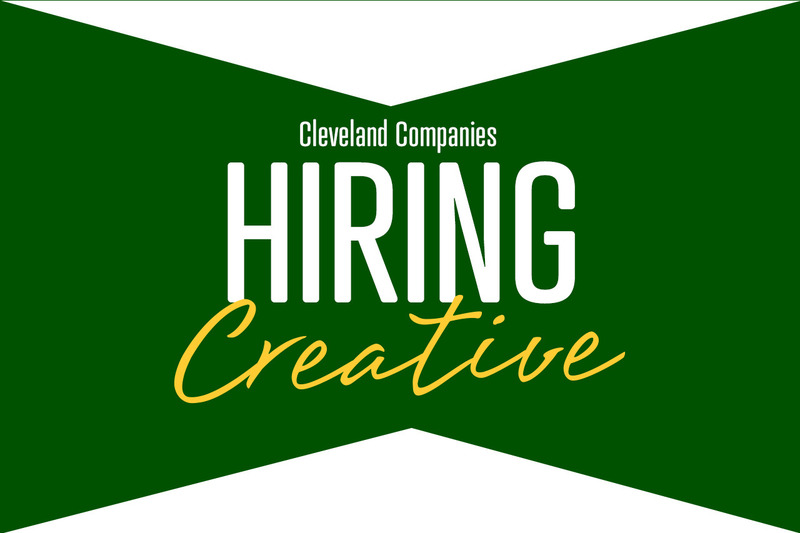 Cleveland is filled with companies in the for-profit and non-profit sectors that employ creative people. From writers and web developers to architects and graphic artists, there is a need for people with imagination. Our audience includes 100-150 monthly attendees in any variety of creative discipline, engaged in educational conversations with creative thought leaders. We’re asking employers from the region to support our initiative by purchasing a short listing in our printed event program. Cost: We’re asking $500 for an annual membership in this program. To sign up simply complete this form and your company will be included in the 2017 listings. Sign up early and also be featured in the remaining 2016 events. Sign up now. Cleveland is filled with companies in the for-profit and non-profit sectors that employ creative people. From writers and web developers to architects and graphic artists, there is a need for people with imagination. Our audience includes 100-200 monthly attendees in any variety of creative discipline, engaged in educational conversations with creative thought leaders. We’re asking employers from the region to support our initiative by purchasing a short listing in our printed event program. Supporting an active creative culture in Cleveland. Cost: We’re asking $500 for an annual membership in this program. To sign up simply complete this form and you’ll be included in the 2017 listings. Sign up early and also be featured in the remaining 2016 events. Sign up now. 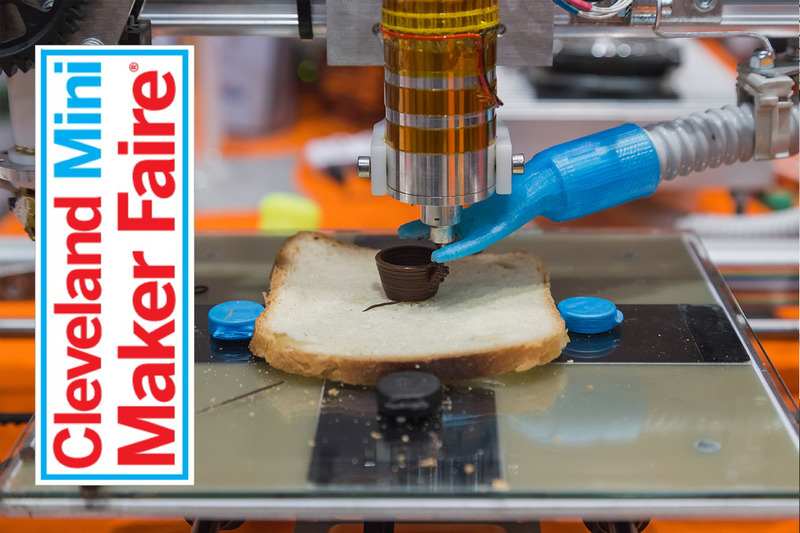 The Mini Maker Faire is a trade show for startups, DIY, local manufacturing, hand made, and experimental products of all kinds. Originally a technology event for garage tinkerers in silicon valley, Cleveland’s version of the Mini Maker Faire is an open space to show off anything from textiles to toys, rockets and garden tools. For those attending tomorrow’s event, we look forward to hosting you all in our rooftop penthouse - we did want to point out some things regarding parking.